No matter what job you have chosen for your career path, there are tools of the trade that are necessary in order for you to be successful. It is not enough to just have any tool but rather you need to have the best tools made from quality materials and manufactured by a company that has a solid reputation. This same concept holds true when you are commissioned as a notary by the governing authority in your state of residence. You can find vendors that offer popular tools used by notaries by looking online and searching for those companies who are at the top of the pack. 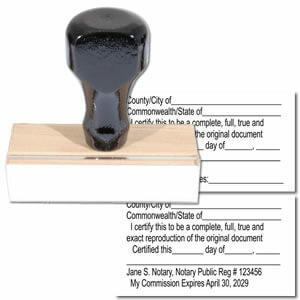 Virginia has a notary public stamp that is commonly seen in many states with the notary’s name, “Notary Public”, “Commonwealth of Virginia”, commission number and the term’s expiration date. The state allows the use of either the ink rubber stamp or embossing seal so long as both can be reproduced when the paperwork is copied. It is important to ensure that all the information displayed on the stamp’s image is accurate in wording and in format if the state has standards clarifying this. 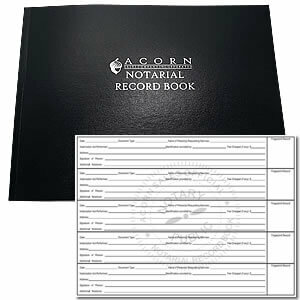 In addition to the regular stamp and seal that are well-known as tools of the notary trade, there is also the record book that is used to document all transactions from the time that you start until your term expires. You need to know what your state's guidelines are for storing and archiving this information in the event of an audit or challenge on the paperwork. 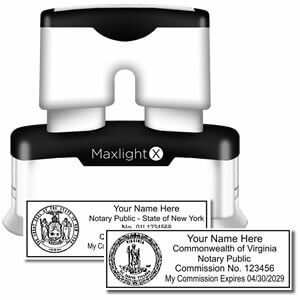 If you buy these items from a quality vendor where you can easily place the order online, just enter in your personal information and checkout with confidence knowing your notary supplies will be delivered to your location in a timely manner. It is a good idea to ask for a proof image before your notary stamp or seal goes in to production and be prepared to present your commissioning certificate as proof that you are authorized to order this item. Being prepared to order your stamp or seal with the necessary documentation in hand will be helpful to both you and your vendor. You may want to purchase kits or a diverse selection of notary products from your vendor, making it even more affordable than the low prices that are usually offered by a top manufacturer.